iPad 2 tips and original iPad tips - get 'em here! With great new features like two video cameras, a faster processor and a thinner design, the iPad 2 is the world's best tablet device. It's also fully capable of running the latest version of Apple's iOS operating system and great apps like iMovie and GarageBand. Here we present 50 really useful iPad 2 tips. We cover everything from customising your Home screen through to getting more from built-in apps like Mail and Safari. The vast majority of these tips will also work on the original iPad, so owners of the first generation device shouldn't feel neglected. For 50 more iPad tips, check out a new iPad app called 100 Tricks & Tips for iPad 2, brought to you by our colleagues on MacFormat. 3. Orientation Lock or Mute? 4. Passcode Denied… DELETE ALL! If you're carrying around sensitive data, you can now enable a feature that'll erase all the data on the device if someone inputs the incorrect passcode 10 times. Navigate to Settings > General > Passcode Lock > Erase Data. Have you ever played Tap Tap Revenge on the iPhone? Good, then you know how annoying notifications can be. These messages pop up on the iPad as well. but you can control them. Go to Settings, Notifications, and configure which alerts (and accompanying sounds) will appear. The iPad supports a VPN connection. To configure it, go to Settings, then General > Network. Select the VPN and move the slider to On, then add a VPN configuration with your server and account details. If you're fed up of getting bugged by messages asking if you'd like to join this or that Wi- Fi network all the time then head to Settings, Wi-Fi and turn off Ask to Join Networks. You can still join any network that will have you from this same screen, it just won't bug you constantly when the opportunity arises. Do you find the battery charge percentage distracting? The good news is you can turn it off very easily. Go to Settings, General, Usage and you can turn it off here. When the iPad first launched, there was no dedicated mute button anywhere on the device. However, with iOS 4.3 Apple has given you the choice of using the lock switch to mute the sound or lock the iPad's orientation. Either way, a good tip for quickly muting your iPad is to press and hold the Volume-down button. Missing a real keyboard? Any Apple Wireless Keyboard will work with the iPad. In fact, your iPad will work with any Bluetooth keyboard. Some iPad cases have a keyboard built in, which can be handy. You can connect the iPad 2 to your HD television using Apple's new Digital AV Adapter (which connects from your 30-pin Dock adaptor to a HDMI port) or a plain old Apple VGA Adaptor. Both are available from the Apple Store. The iPad 2 supports video mirroring, so your entire Home screen will appear on the TV, not just the videos you play. Whenever you see the AirPlay icon on your iPad it means you can stream whatever media you're viewing to your Apple TV, which is usually connected to your living room TV. All you need to do is tap the AirPlay icon (which looks like a rectangle with a triangle in it) and it starts playing automatically - it's so simple! The iPad does not charge when you connect it to some USB docks or even certain ports on some notebooks. Instead, plug in to a high power USB port (check you computer's specs, or use a powered USB dock). On some PCs, USB ports on the front of the computer are lower power, so you will need to plug into one on the back. Multitasking Gestures, which utilise four and five finger gestures, are available in Settings only to iPad owners who have installed Xcode on a Mac. You need to buy Xcode from the Mac App Store ($5/£2.99) and install it, then from the Xcode homescreen, select your iPad and click on the Use for Development button. You'll be asked for your developer account details, but if you click on Cancel at this stage it still works. Swipe left on the Home screen to reveal the Spotlight search. By default it searches everything including songs in your iPod, podcasts, apps and events. To restrict the areas it searches, since you may not want all these categories included, look in Settings > General > Spotlight Search. Want to add your Google Calendar to the iPad's Calendar app? No problem. In Settings open Mail, Contacts, Calendars. Add an account and tap on Other. Tap on Add CalDAV Account and enter your Google Account credentials (the Server is www.google.com). Exit the Settings app and tap on the Calendar app and all your events should appear. By default all calendars are displayed, but you can tap on the Calendars button to choose which ones are shown. Apple's new iPad Smart Cover (from £35/$39) is a must have iPad accessory - it's not just a dumb cover. When you draw it over the iPad's screen it puts it to sleep for you, and wakes it up when you open it. Also, it latches onto special magnets built into the side of the iPad 2, so it's a perfect fit. Transferring Pages documents from your iPad by syncing with iTunes on your Mac or PC is a real hassle. It's much quicker to use the Share menu to email the finished document to wherever you need it to be. Also, you can email it as a Word or PDF document if you like. This is a great tip for any app, such as Notes, Pages or Mail, that you type into using the iPad's virtual keyboard. Rather than having to go to the second screen of the keyboard every time you want to type an apostrophe (which is a real pain) just tap and hold on the ! key and a hidden apostrophe option will appear - then just slide your finger up to access it. You don't have to move the iPad's second keyboard screen to enter a quotation mark either. Simply tap and hold over the ? key and a quotation symbol appears, which you can select by moving your finger upwards. Another great keyboard tip for typing in apps such as Pages, Notes or Mail is to doubletap the space bar at the end of a sentence. This adds a full stop and a space for you, which can be enormously time-saving when you're writing long articles. There's no way to swipe to change between days in the Calendar app, but don't forget the navigation bar along the bottom of the screen - this can be used to switch to different days (or weeks/months, depending on the view you've chosen). The current day is always shown in blue, or you can just tap the Today button to return to the current day. The Maps app running Google's Street View is one of the coolest features of the iPad, yet accessing it is so confusing few people even know it's there. To access Street View you need to have dropped a red pin on the map (which happens when you do a search). You then tap the red and white icon of a person to enter Street View. There's no free sat nav for the iPad, but directions in Maps are a substitute if you're walking, driving or taking the bus. Just tap Directions on the top left of Maps and the iPad even works out where you are right now, then takes you step-by-step through each stage of your journey. In the Camera app, tap on your subject to both focus on and meter the light properly. In this shot, notice how the chair is dark and the boy outside is properly metered. You can reverse that by simply tapping on the chair. You'll probably hold the iPad by its sides, but it'll rotate to put the shutter button at the bottom, making you wobble when you reach for it. So use the orientation lock to put the shutter where you can easily thumb it, then just rotate your images or videos afterward in an image editor. Sure, you're great, but Photo Booth is even more fun if you point it at friends or family. Simply tap the 'twirly camera' icon in the bottom right. to use the camera on the back You can also snap stills by hitting the shutter button, but Photo Booth doesn't do video. Save time typing web addresses in Safari by using the iPad's ".com" key when typing in a URL. A little-known timesaver is that if you hold down the .com key you get access to a menu that offers a .co.uk and other options too. You can jump up to the top of any web site - indeed any list - by tapping on the top of the title window. It's much faster than scrolling by hand. You can zoom in on any website by pinching out with two fingers on the screen. This also makes it easier to select words and tap links. To zoom out again, just pinch in with two fingers. Double-tap on any text or image to auto-zoom so it fills the screen. We all know you can tap the bookmarks icon in the Safari toolbar to access your bookmarks, but you can significantly cut down the number of taps it takes to get to them by turning on your Safari Bookmarks Bar permanently. In the Settings app, tap Safari, then turn Always Show Bookmarks Bar to ON. Need to cover your tracks online? You can delete your Safari browser history in a flash. Just open the Settings app, then tap Safari and tap on Clear History. Note you can also wipe your Cookies and clear your Cache here too. You can open links in a new Safari window, rather than always opening them in the current one. Just tap and hold on the link and a pop-over menu appears giving you the option to open the link in a new page. You can search for a particular word on an open page in Safari. Type your word into the Google search box. You'll see a list of suggestions appear, and near the bottom you'll see "On This Page", showing how many times that word appears on the page. Tap the Find option to go to the first instance of the word. Most mail accounts default to Push as a delivery mechanism, if available. This automatically 'pushes' any new emails your way as soon as they are available. If you find this annoying or distracting you can set your Mail accounts to check for new messages at intervals, or manually so they only check for new messages when you tap the Refresh button. To turn off Push, select the Settings app and Mail, Contacts, Calendars and choose Fetch New Data, then turn Push on or off. If you want to make sure your iPad's data is properly backed up then you can force iTunes to back it up. When you're conencted to your Mac or PC, open up iTunes and right-click on your iPad in the Devices list and select Back up. If your iPad battery is completely flat then it can take a while for the red battery symbol to appear when you plug it in to charge, indicating that it is charging. Don't panic, just leave it plugged in and wait - the charging symbol will appear eventually. This blog post will explore reasons why the iPad might be the perfect technology tool in our schools today, providing teachers with 10 concrete ideas for using them in the classroom RIGHT NOW. The iPad has a very responsive Multi-Touch screen, a strong advantage over using a touchpad or external mouse. The iPad has accessibility built in. It comes with a screen reader, support for playback of closed-captioned content, and universal zoom feature which provides magnification of the entire screen of any application. There is even support for a wireless braille display and international braille tables. The iPad is more streamlined, portable, and cool. The iPad boots up much faster, since it uses a solid-state hard drive. The iPad is optimized for its hardware–the operating system was designed for the device. The iPad video display is a large, high-resolution LED backlit IPS display. The iPad can stay charged for an entire school day, with a 10 hour battery life. How might teachers use iPads in their classroom? Reading: The iPad makes an excellent ebook, magazine, or any document reader, as the color screen is vibrant and readable in almost any kind of lighting. Books can be transferred to the Apple iBook app, using ePub or PDF formats. The color screen is especially appealing when displaying picture books and other media such as magazines. The advantages to students would be: (1) not having to lug around heavy books, (2) having all textbooks on one device, (3) being able to take and share notes, (4) automatic bookmarks when returning to the book, and (5) potential cost savings versus purchasing books. Listening/Viewing: Students can download podcasts, music, and other media (iTunes U anyone?) for instant listening and viewing through the iTunes store. They can also view YouTube and other image/video sharing services. Conduct On-Demand Research: The Safari browser is quick and easy to use, allowing students to conduct quick research to answer questions, watch videos, read and save webpages, search for resources in online library databases, share ideas with their Facebook friends–just about everything they can do on a traditional computing device. Organizing: Students can learn and apply digital organization skills through working with the iPad and discovering ways they can streamline content collection, access, and redundancy. Show them Dropbox as one way they can save and access content through multiple devices. Publication: Students can post and publish content to their blogs and other websites, either using the browser interface or specialized apps for blogs. Communicate/Collaborate: Facebook, Twitter, Google Reader, Evernote, and other social apps are all available through the iPad for sharing information, receiving updates, and conducting research. The email app built-in to the iPad is intuitive and handy. Facilitate Note taking: Evernote is a great way to take notes on the iPad (yes, there’s an app for that). Students can have all of their notes organized, along with their “textbooks” to study and review. There are also apps that allow the user to handwrite on the device, using either their finger or a specialized stylus. This would provide another way for students to write instead of having to keyboard. Offer Individualized instruction: As a teacher, you know that not all students are on the same page or at the same level. By identifying students who need extra help or those who are bored and need to move forward, the iPad can provide the platform for additional curricular paths and challenges. Entire courses could become less dependent upon the teacher, with students identifying their interests, needs, and ways they can accomplish their goals. Teach Personal responsibility: I’ve heard this before, that students won’t take care of technology tools. I don’t agree with that. If students had their own technology tools, they would learn how to take care of them and be responsible for ethical use of these devices. This is another great reason to support individual student ownership of technology devices–the opportunity to actively demonstrate and teach standards for appropriate use and care. We hear a lot about personal responsibility–ownership of an iPad would greatly facilitate this. Gaming: Yes, the iPad can also be used for gaming, with many games available that would supplement a curricular unit. With a little creativity and no effort to get students to engage, the iPad can be a compelling reason to incorporate games in the classroom. This is an interesting piece written by Meredith Ely over at Huffingtonpost on 2nd March 2011. It is an even and well constructed argument for the use of tablets in education and the flow on effect this type of mass implementation may have for the wider community and specifically low income families. With over 15 million iPads sold to date, we might see its ubiquity as a matter of time. With the launch of the iPad 2, Apple will continue its push to democratize technology through anticipated lower costs, proven utility, and product "stickiness". Tablets have generated a lot of buzz in the last year for their educational potential, but the iPad 2 has the capacity to disrupt education in even more drastic ways. Lower cost, mobility, and intuitive design mean schools will be interested in the new iPad, but what is more significant is use among a more "overlooked" or "underestimated" constituency in education -- families. As education technology advocates, my colleague Rafael Corrales and I brainstormed ways in which the iPad 2 might have a unique impact on education. I have to be careful here because I do not wish to say that the iPad 2 will be in the hands of every person in the coming years, nor do I think that is necessary for student achievement. What I do foresee, however, is Apple's emphasis on user adoption and retention continuing to be extremely successful. The iPad was a hit for those daring and wealthy enough to leap into the world of the tablet. The iPad 2 will undoubtedly expand adoption with lower prices and additional features. Like the iPod, eventual price reduction will launch the iPad into more homes across all socioeconomic lines. With added features, it will become more than a toy for wealthier consumers, and with comprehensive networking features, it may supplant traditionally more expensive computer systems for lower-income families. Thus, while I don't think iPads will become the salient learning tool in all schools -- affluent private to urban and rural -- the second edition does show promise in delivering great technology to a much greater population. Somewhere between the smart phone and the laptop lives the iPad (or tablet generally). With built-in wireless functionality, students, parents, and teachers can interact in real-time -- whenever and wherever. Learning games have already proven to be viable and valuable apps for the iPad, marrying children's love of competitive digital games and academic objectives; learning games are increasingly becoming feasible instructional tools as teachers embrace and utilize the iPad platform. Additionally, with emerging online learning management systems, parents and students can see grades online and forge stronger communication between home and school. Furthermore, with networked devices, suites like Google Apps for Education are in the hands of students 24/7, enabling collaborative learning to be more personal and student-driven. As with Google Apps for Education, the mobility and diverse utility of the iPad 2 brings about new paradigms for group learning and social networking. As it stands now, children have several options when it comes to working together after school hours: meet in person, (video) chat online, work on shared text documents or talk on the phone. Obviously these methods are valuable, but the real-time applications made possible with the iPad 2 will likely enhance these experiences. The new tablet will have a front- and back-facing camera for FaceTime and other video chat apps like Skype. With the enormous number of applications feeding into the iPad platform, learning experiences that call on students to engage in new, creative ways could be extended beyond the time that students spend in a classroom. The ease of use, mobility and interactive nature of the iPad lends the device to extending the classroom experience meaningfully beyond what it is limited to currently. Again, I want to note the idea of "democratization" when I discuss disruption of the education market. Education, a very top-down industry, has been dominated by legacy providers that have been able to make it through administrative bottlenecks to teachers and students. Putting the iPad 2 into the hands of families is an incredibly powerful tool in shifting the education market to a more bottom-up industry. The iPad is inherently demanding in nature; it calls on developers to create games and apps to meet the demands of families, but it also gives these developers an incredibly convenient distribution mechanism. This means that educational apps (highly demanded) are delivered right to the hands of eager families at low cost. 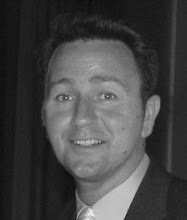 The ultimate significance: Traditional academic publishers, student information system providers and educational toy/game companies that have been making enormous profits by selling to school districts since the beginning of time will have to compete with innovative, agile competitors who enter the space via the cloud -- and are accessible on devices like the iPad 2. 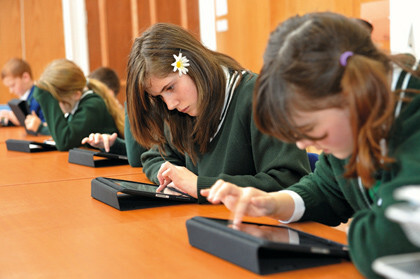 We will have to wait to see how or if the iPad 2 can truly revolutionize the education system. I do believe that we are seeing the expansion of an incredible tool with potential to disrupt education from the ground up. Another great article from Makeuseof written by Jeffry Thurana and posted on April 7, 2011. This has huge ramifications for those of us that produce digital content for the internet or for consumption by our students. Statistics say that the iPad is the most successful consumer product today. In less than a year (nine months to be exact), the tablet has found its way into the hands of 15 million people. And looking at the enthusiasm towards iPad 2, business analysts predict that the success rate of the second generation of Apple tablets will surpass the first. What does this data mean to us? For a start, more and more people who access the Internet will do so from an iPad or another tablet. So if you have an online presence, it would be a good idea to adjust the interface of your site to be tablet friendly. Automattic, the parent company of WordPress.com, has realized this and have added a feature that will optimize its 18 million blogs for tablet viewing. So for those of you with a self-hosted WordPress, there’s an app a plugin for that. To bring this feature to realization, Automattic worked with Onswipe – a company which specializes in tablet (and other touch-enabled device) publishing.WordPress.com users don’t have to do anything as the feature is already added to their blogs. On the other hand, self-hosted users will need to install the Onswipe plugin before they can make their blog iPad friendly. automatically adjust the content layout according to how the reader holds their device. 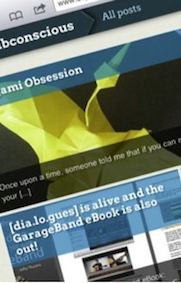 give the reader an easy way to save the blog to their device’s home screen. show a customized loading screen while the blog is loading. create a beautiful magazine-like cover from the latest article. easily share the content via Facebook, Twitter and email. If these power-ups excite you, download the plugin on the Onswipe website, then upload and install it onto your blog.